Layne Daye, this is his first novel, with many more to come. 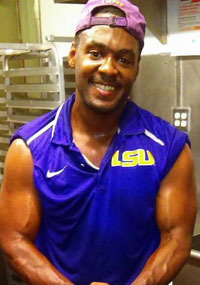 He is a native of Baton Rouge, La and now lives in Lake Charles, La. He has one daughter, Ciara Alexis. He has been writing since he was a young boy, but he never thought that he would be a published author. He hopes that through his work he can inspire readers to chase their dreams and live them out. 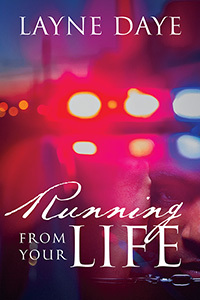 Through his own personal trials and tribulations Daye has been inspired by those life experiences to reach as many people as possible through his writing. His book will draw your attention and hold it to the last page. Lester Dukes had everything in the world a man could possibly want. He had good looks, money, popularity and the finer things in life. However his way of obtaining those means were contrary to the law. Now he is wanted for the murder of a police sergeant, and the clock is ticking on his existence in this lifetime. Chances of survival have become slim to none, and the life that Lester has been proud to live is now the life he’s trying to avoid. He quickly learns that there are consequences and circumstances when choosing between good or evil, and life or death. What does a man do when he looks in the mirror, and realizes the man he sees is the man he must run away from? I’ve enjoy reading your book Layne . The mystery was overwhelming.